This committee's purpose is to encourage the use of the Society's Code of Ethics, which promotes the highest professional standards for journalists of all disciplines. Public concerns are often answered by this committee. It also acts as a spotter for reporting trends in the nation, accumulating case studies of jobs well done under trying circumstances. Bio (click to expand) Lynn Walsh is an Emmy award-winning journalist who has worked in investigative, data and TV journalism for more than 10 years. Currently, she is a freelance journalist and the Assistant Director for the Trusting News project, where she works to help rebuild trust between journalists and the public by working with newsrooms to be more transparent about how they do their jobs. She is a past national president for the Society of Professional Journalists. During her term, she spoke out against threats to the First Amendment while working to protect and defend journalists and journalism. She also serves the journalism organization as a member of SPJs FOI committee and is the current Ethics Chair. Lynn was also selected to represent SPJ on the Freedom of Information Act (FOIA) Advisory Committee where she worked to recommend changes to help improve the national FOIA process. Previously she led the NBC 7 Investigates and NBC 7 Responds teams in San Diego, California for KNSD-TV. 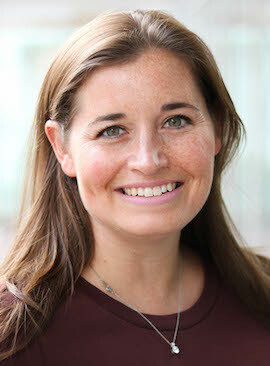 Prior to working in California, she was working as data producer and investigative reporter for the E.W. Scripps National Desk producing stories for the 30+ Scripps news organizations across the country. Before moving to the national desk, she worked as the Investigative Producer at WPTV, NewsChannel 5, in West Palm Beach, Florida. She has won state and local awards as well as multiple Emmys for her stories. She loves holding the powerful accountable and spends more time than she would like fighting for access to public information. Lynn travels around the country, teaching journalists and students about the latest innovative storytelling techniques and how to produce ethical content, no matter the medium. Lynn is a proud Bobcat Alumna and graduated from the Ohio Universitys E.W. Scripps School of Journalism. She loves the beach, sunsets, exploring the world and attempting new yoga poses. She believes the glass is half-full, the truth is always out there and that hard work, dedication and personality can make any dream come true. WHAT: Think of all the types of situations in which you might need a policy to help you decide, for instance, whether to use an anonymous source, or whether to let a source review what youre planning to write. List all the angles. Enlist other people in your discussion, including  if you can  people who arent journalists. In policy decisions, the question usually comes up front. Lets say you want to write a policy for your newspaper or magazine about pre-publication review, or that you as a free-lancer want to have a policy for yourself thats well thought-out. Here you start with the question: Do we let sources see what were planning to write? And if we do, when? WHO: This is the sort of decision that should involve a large and representative sample of the people who will have to follow it. Ultimately, the decision may be made by the highest level of management, but it should be an informed and collaborative decision. Consider, too, the people outside the media organization who will be affected by what policy you decide to follow. Even if youre a lone free-lancer, youd be wise to consult a few others in arriving at your personal policy for pre-publication review. Discuss. Argue. Test your ideas. Pre-publication review may give a source confidence that the reporter cares about getting it right. It could enhance your credibility and reputation. Offering to let them check what youve written may get them to open up. On the other side of the argument are tradition, and the worry that sources will want to take control of your story. Theyll try to change what youve written, to put themselves in the best light. They, and your colleagues, will think you have no backbone or professional pride. WHY: These are principles (standards) you will use in deciding what to do. In most cases, it comes down to a balance between telling the truth and minimizing possible harms. Identify these and other moral responsibilities. The best decision is the one that does the greatest good for the greatest number of stakeholders. Jay Mathews, a veteran education reporter for The Washington Post, shows whole stories to sources, even though it makes his editors uneasy. He wrote about that in The Posts May 31, 2003, edition. The balance here is between being as accurate as possible in truth-telling, and maintaining your independence as a journalist. HOW: How do you achieve the outcome youve identified as the best? This is definitely a situation where you want to write it down, and consider sharing it with your readers and audience. 1. Make it clear to your source that only you or your editor can change what youve written. 2. The review is for accuracy only. Just the facts, not context, tone or organization. 3. Dont change direct quotes. You should have them on tape. But its OK to negotiate if the source says his first quote was wrong. 4. The best time to double-check is during the interview. 5. Its best to review specific passages; not the entire story. 6. Remember: YOU DONT HAVE TO CHANGE ANYTHING! But if its wrong, you certainly should.